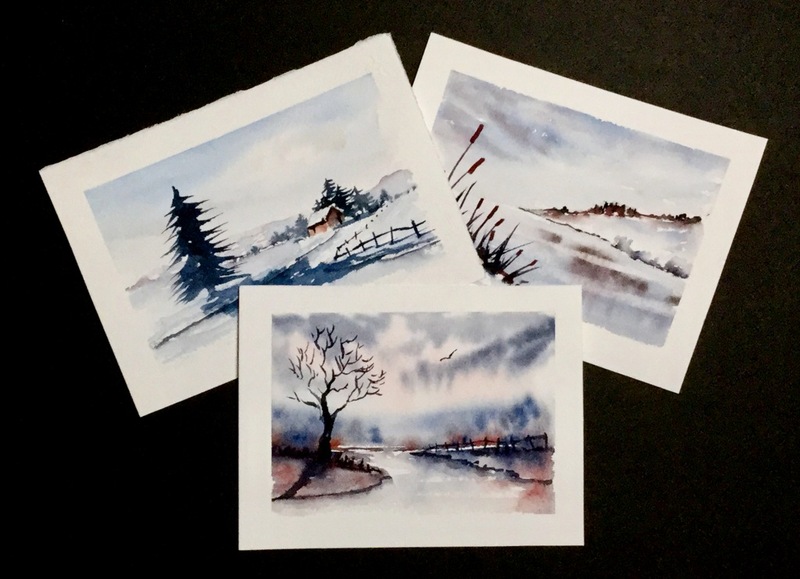 mountains, trees, lakes, paths, boats, cottages, snow, stormy skies etc. 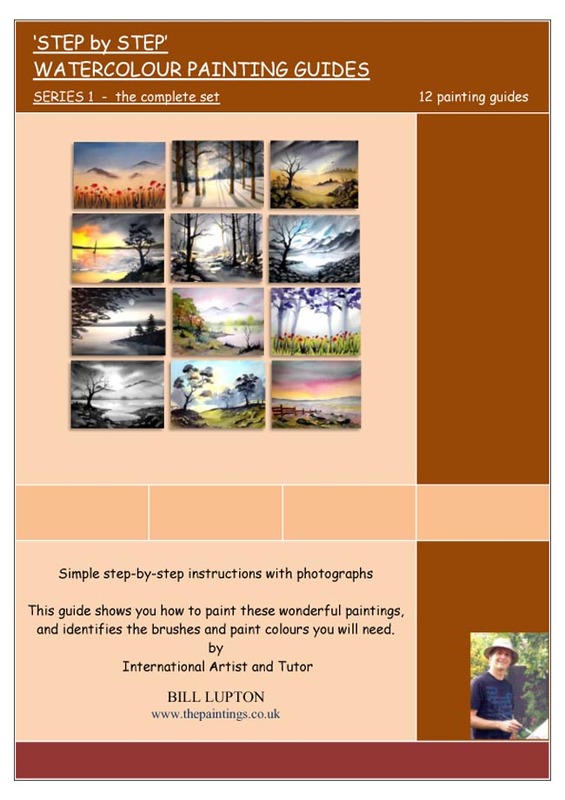 The following guides are available as individual booklets or as a complete set. 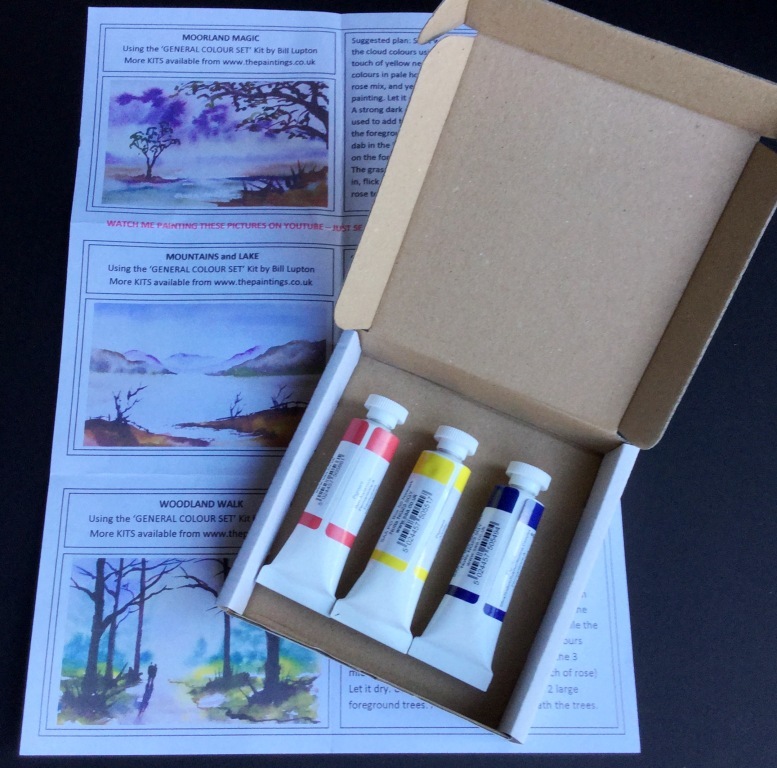 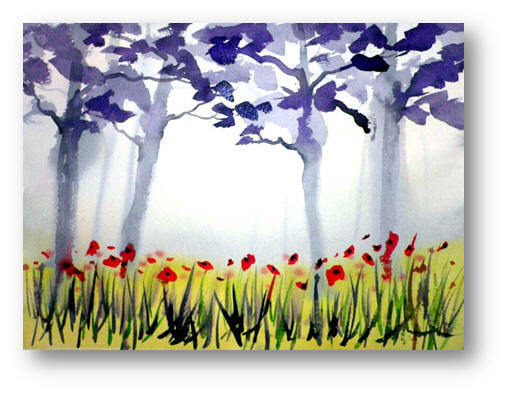 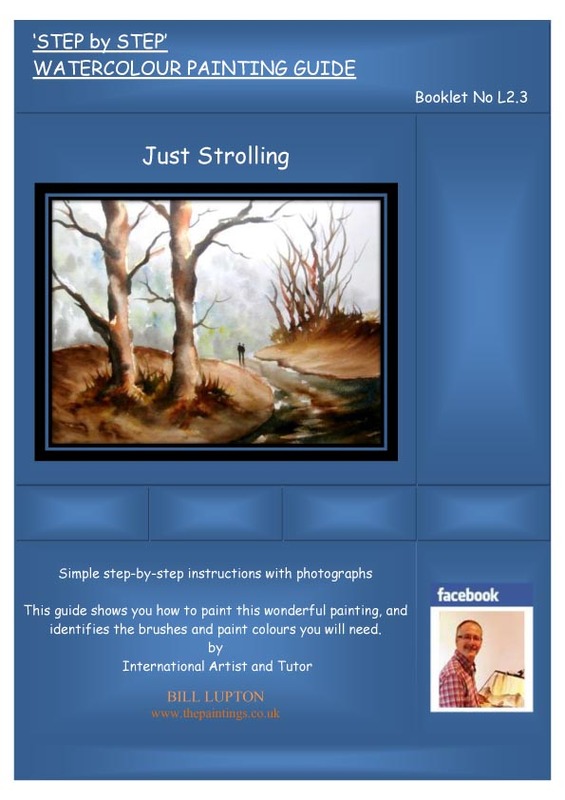 A wonderful painting full of colour and surprisingly easy to paint using this guide. 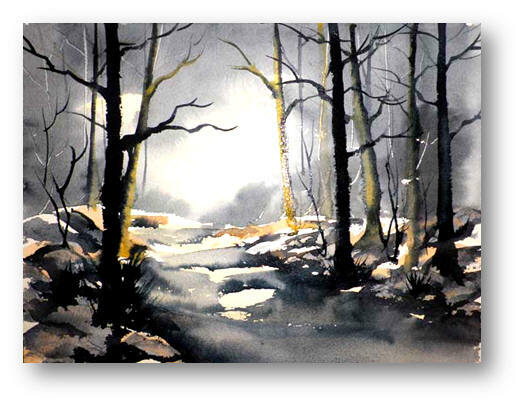 A dramatic painting using wet-into-wet and wet-into-dry to create and almost 3 dimensional effect. 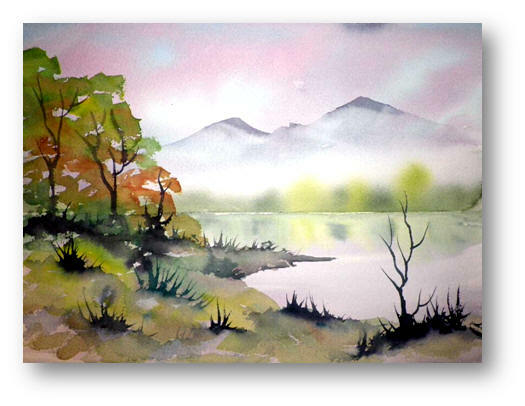 A very atmospheric painting using limited colours and simple techniques to create this wonderful landscape painting. 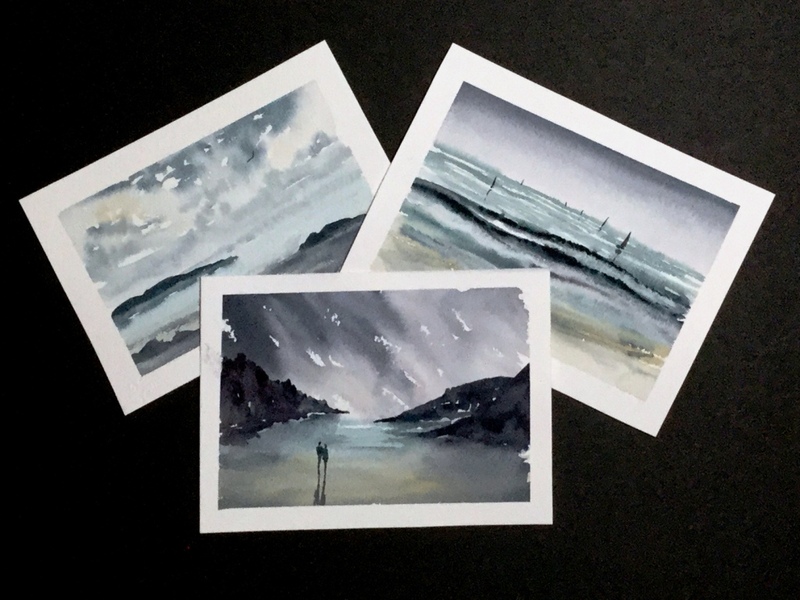 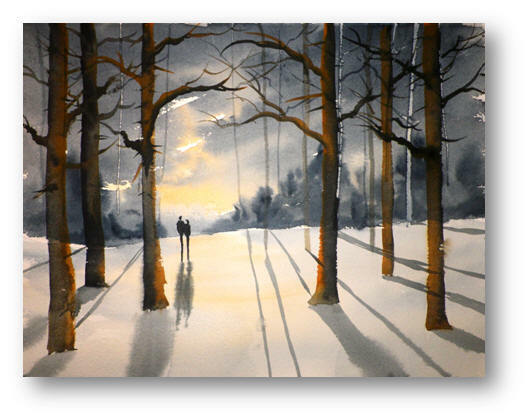 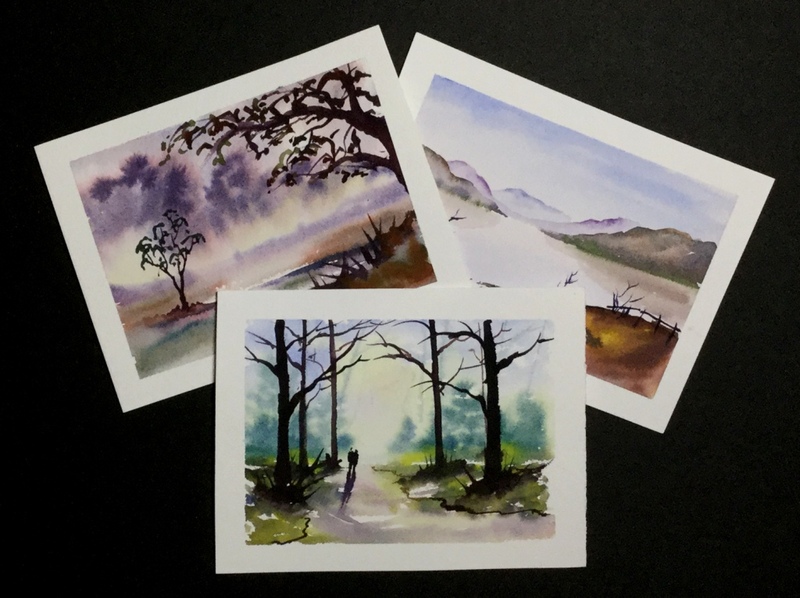 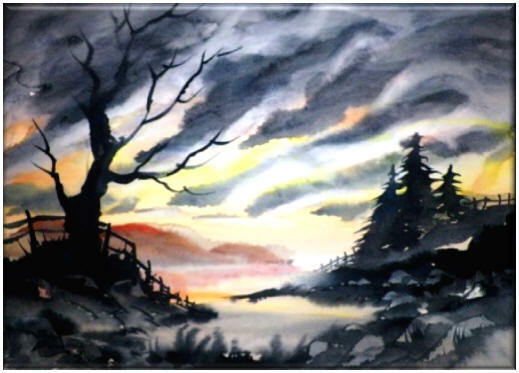 Using only 3 colours you can create this atmospheric painting by following this simple guide. 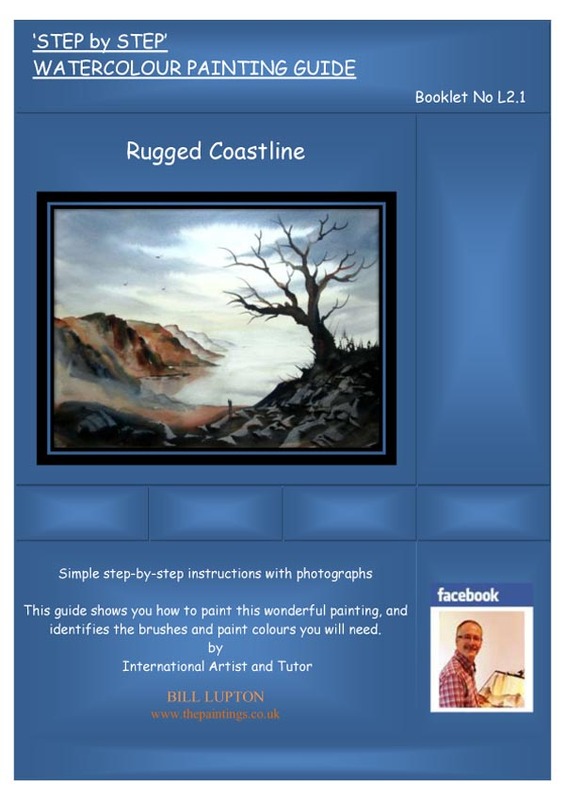 A stunning painting that you will really enjoy, especially the simple technique for painting rocks. 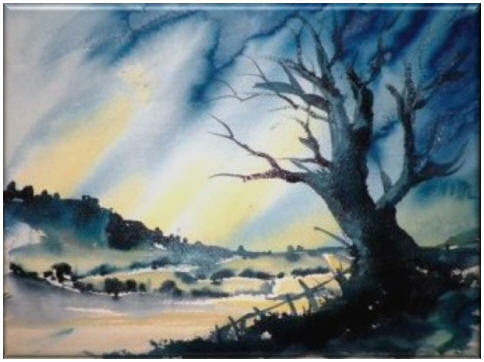 This very dramatic landscape is so rewarding to paint using the simple techniques identified in the guide. 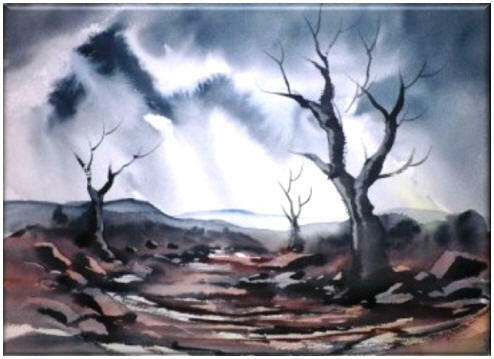 This is a stunning artwork that is painted using just a single colour, highlighting the importance of tonal control. 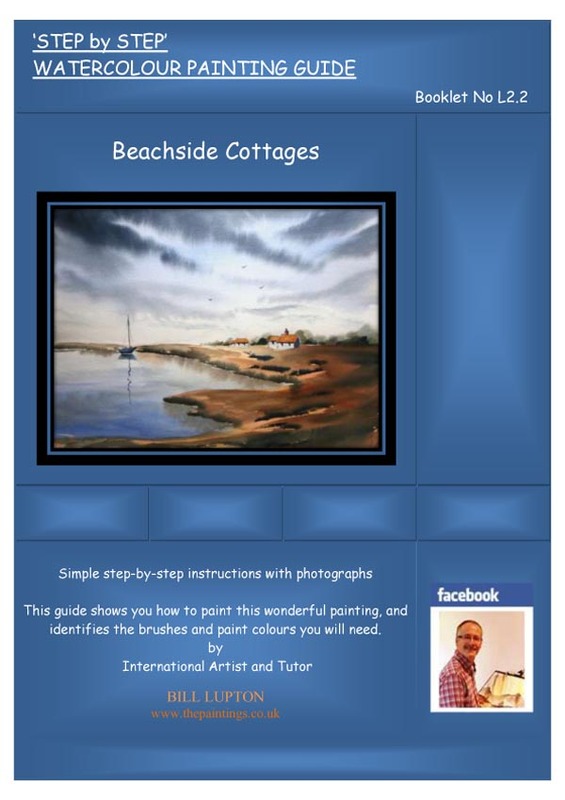 A colourful painting that you'll find surprisingly simple and rewarding to complete using this guide. 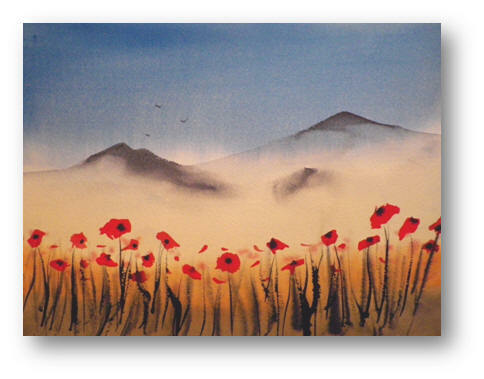 A very popular subject with a wonderful feeling of depth by varying the strength of paint and using cool and warm colours. 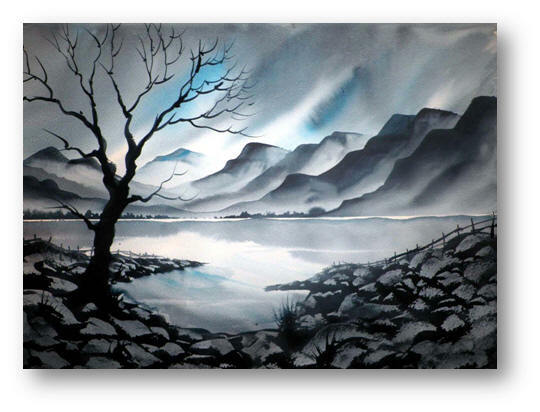 Its amazing what can be done using a single colour to create a dramatic sky, misty mountains, water and a rocky foreground. 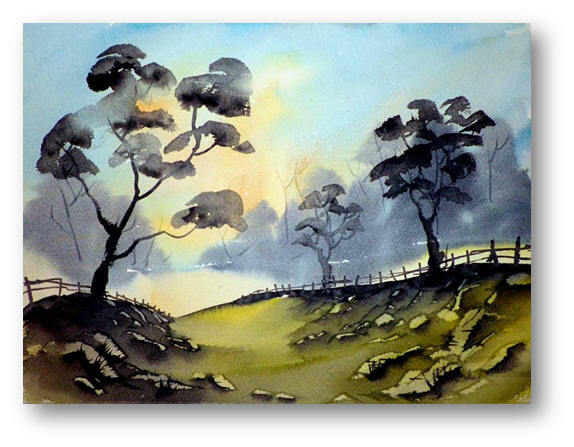 A richly coloured sky painted wet-into-wet and simple method of painting trees, rocks and foreground grasses. 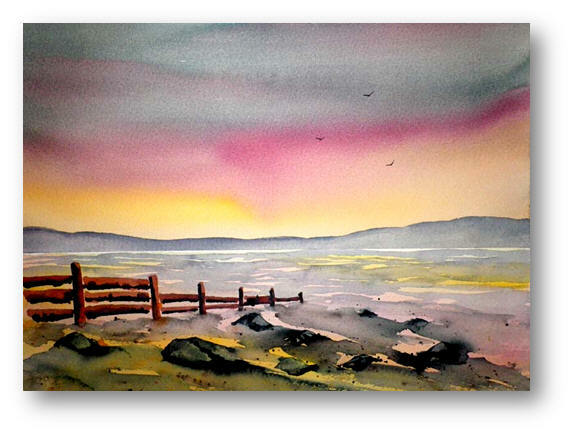 A wonderful seascape that allows you to work with warm colours to create a lovely sky, distant hills, water and a rocky beach. 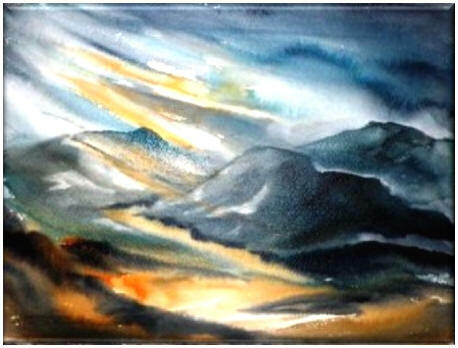 A simply wonderful sky with 2 colours and plenty of clean water to create magical rays of light. 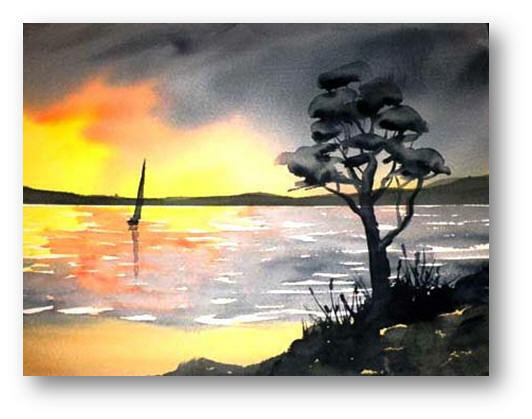 This one is great fun. 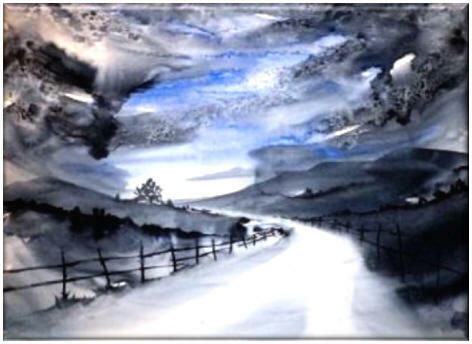 Artists usually use brushes to create dramatic skies, but not this one.... Its so effective using this alternative technique. 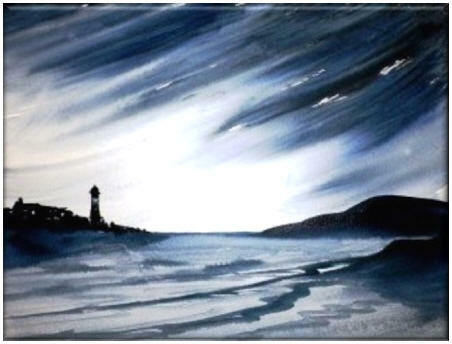 You'll need to be prepared to use fast sweeping brush strokes with this stunning sky that will demand the viewers attention. 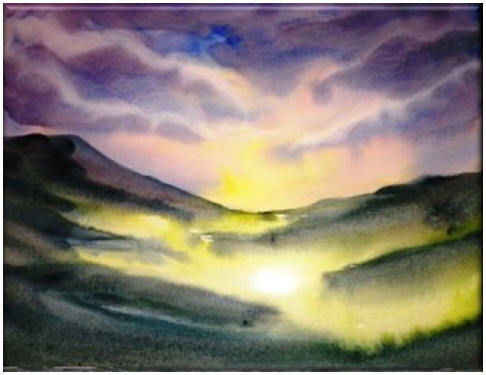 A very unusual and attractive sky with large clouds that focus attention on the sunset in the distance. 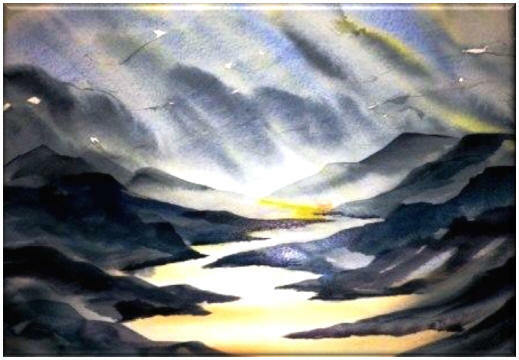 This is a dramatic rain-filled sky that is so enjoyable to watch as it develops - plenty of water and loads of fun. 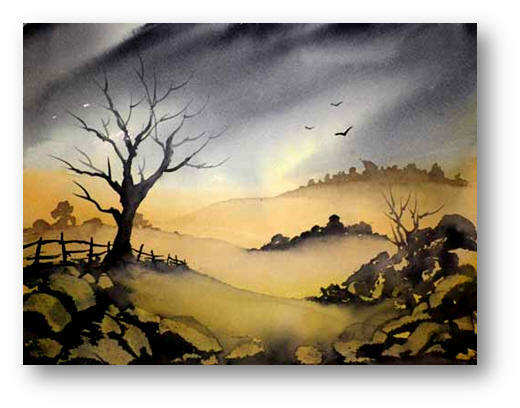 This sky has a real WOW factor, very large dark clouds and a richly coloured sunset. 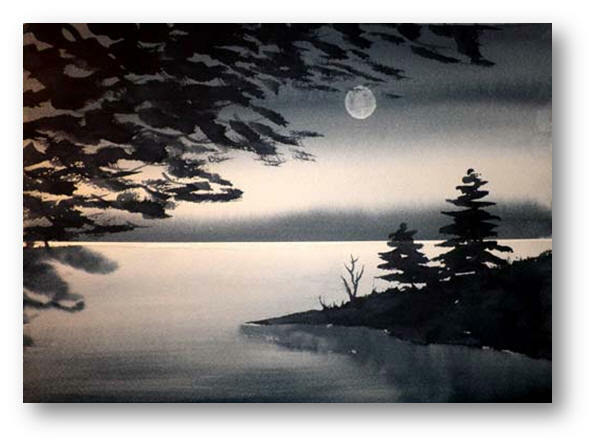 Paint is added and then removed to create drama. 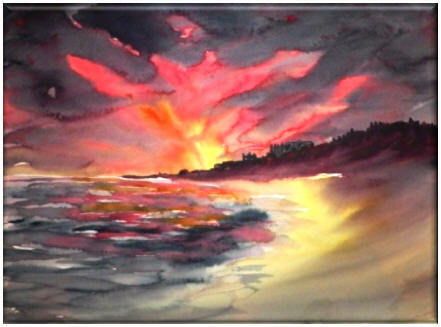 Strong colour creates the atmosphere and stormy grey clouds add depth. 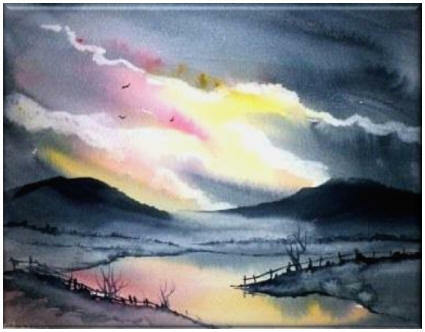 A real fun sky where the secret lies in using lots of surface water to create the magical misty cloud effect. 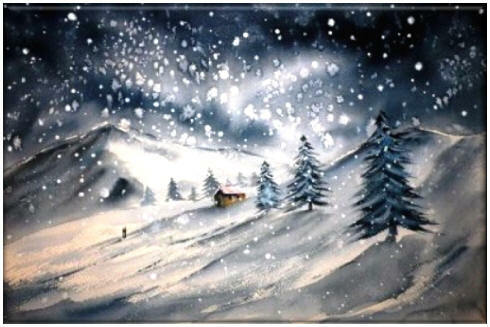 There are a number of ways to create the effect of falling snow, and you will use some of them in this wonderful winter sky. 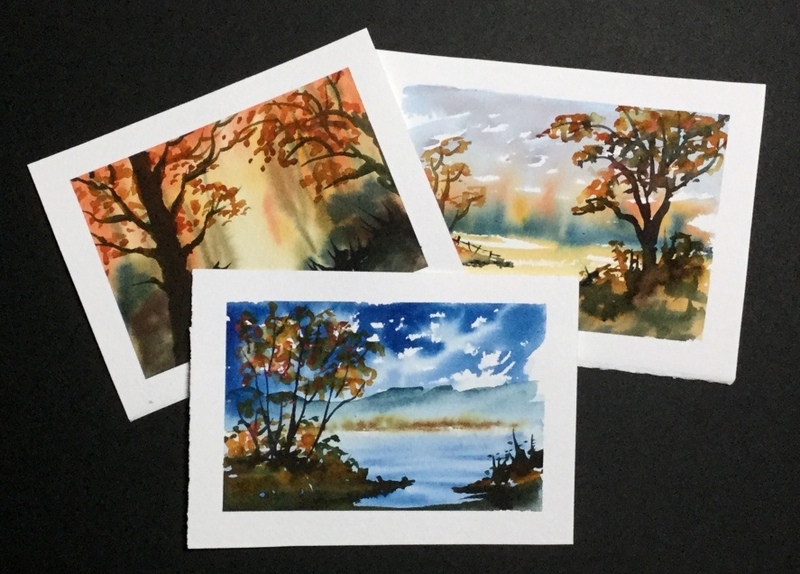 There are some skies that just scream at you, well with this fabulous technique you'll be amazed at what can be created. 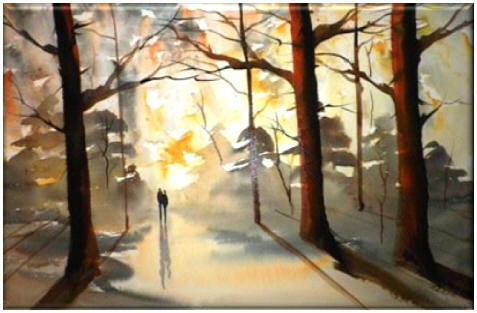 just look at the drama and atmosphere in the image. 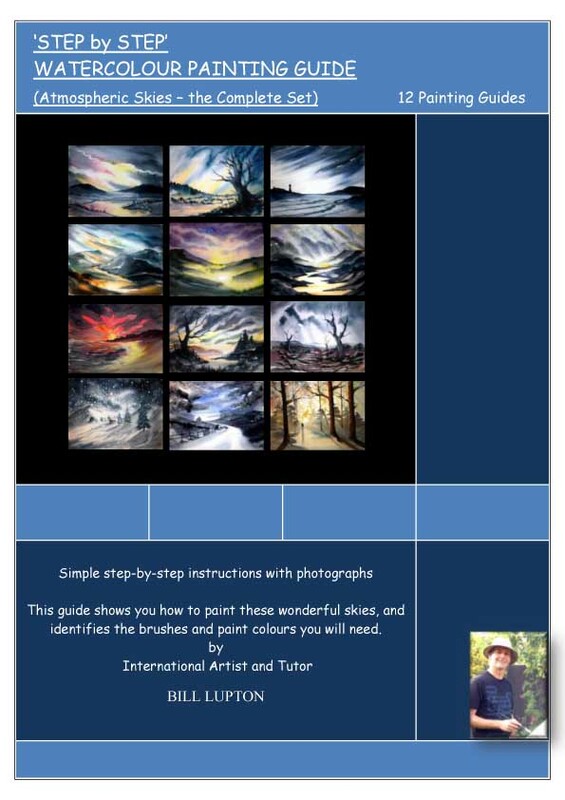 Sometimes the brilliance of the sky needs to shine through, this guide shows you how to create that brilliance.